I really wanted to love this story about a bearish lumberjack who is matched online to a pretty city boy, but the writing felt stilted and the characters never really came alive for me. I didn’t quite buy into the relationship between Sven and Jayden. Sven is a bit rough, a bit closeted, and not even necessarily kind to Jayden. Jayden is timid and desperate and his attachment to Sven feels a little bit opportunistic. I liked Jayden more than I liked Sven, but I don’t feel like I got to know him well enough to really care about him. Sven’s mum and uncle are the character highlights in this story. I want to avoid spoilers but after finishing the book, I was still confused about the dating website that set up Jayden and Sven. Initially, the organisers are villanised as scam artists who use Jayden’s debts to coerce him into a relationship. But then there’s a final chapter where I think we’re supposed to like the villains. I was annoyed that nothing was actually explained or resolved, and the last chapter did little to get the bad taste of dubious consent out of my mouth. My biggest annoyance with this book is the setting. This is a book about a small town in rural British Columbia. As someone who grew up in rural BC, I have to wonder if the author had actually visited the area. BC is notoriously liberal and inclusive. The rest of Canada tends to see people from BC as quinoa munching hippies who wave rainbow flags and smoke a lot of weed. The descriptions of ignorant redneck lumberjacks and closeted forestry workers/RCMP officers living three hours from Vancouver does not ring true at all. I get that this setting allows the author to exaggerate the differences between Sven and Jayden, but it feels more than a bit clumsy. 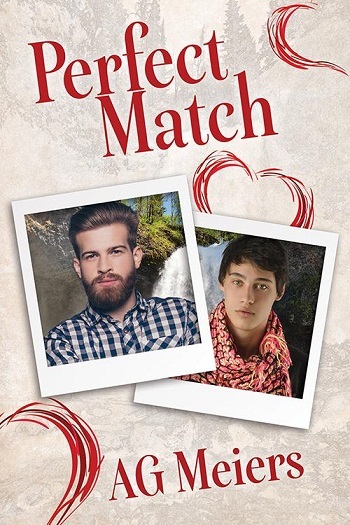 Reviewers on the Wicked Reads Review Team were provided a free copy of Perfect Match by AG Meiers to read and review.